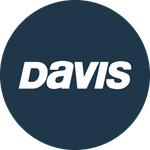 Davis Instruments Support, FAQs and Troubleshooting - How can I tell if my Vantage Connect battery is getting low? All Categories ​>​ FAQ ​>​ Vantage Connect ​>​ How can I tell if my Vantage Connect battery is getting low? Our server will monitor your battery voltage and will trigger an e-mail warning if it should get critically low (approximately 14 days of power). The e-mail will go to both the registered user's e-mail address as well as the alarm e-mail address (if one has been set up). Why is my Vantage Connect or EnviroMonitor battery low? Can I add another battery to my Vantage Connect installation?